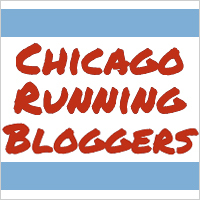 Running Kellometers: Summer Running Tips -- How to Beat the Heat?! As some of you may know, I do not do well when I try to run in the heat. I've learned this the hard way while training for a goal race in July (kind of a duh moment, after the fact). 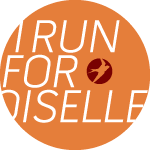 Oiselle recently put together a blog post on some tips from their readers and ambassadors. As I've trained through the last few summers, I thought I would offer up some of my own tips on how to beat the heat and what worked for me. 2) Sunrise Running - If you're a morning person, you probably feel most comfortable waking up at the buttcrack of dawn to get your workout in before the temps heat up too much. Although sometimes even at the earliest morning times, that sun can be a beast! I used to do this a lot before I had Patsy--so I may start doing this again once she starts sleeping a little better. That weekend alarm can be rough when it is earlier than your weekday alarm! 3) Nighttime Running - As I work downtown, far from my home, 4 days a week, I prefer not to get up early during the week. When I was marathon and half marathon training before I was pregnant, I got in many quality workouts after the sun had gone down with my headlight. Summer nights can really be magical in more ways than one! And feel free to sing "Summer Nights" from Grease as you think about running tonight. I'm glad I've gotten some use out of this fantastic photo! 4) Get one of those nifty cooling towels. I have one but I haven't used it yet. I don't know why, I'm sure it will be amazing! I got mine from Brookstone but my husband (who works in construction) says you can find them at Menards or any local hardware store. 6) Have a cold beer waiting in the fridge. Let's be honest, even with all the best prep and precautions, you may bonk a workout or shorten the distance when it is a hot summer day or night. After you've properly hydrated, give yourself a reward for going out there and GETTING IT DONE anyways! 7) Take a cold shower when you get home. Sometimes I would get so warm that I felt like I would never be cold again. Taking off my sweaty running clothes and taking a shower can really help get your body temp back down. And you can enjoy your beer in the shower, especially if you have one of those shower beer koozies. What do you do to beat the heat? Any tips you can share that aren't mentioned? 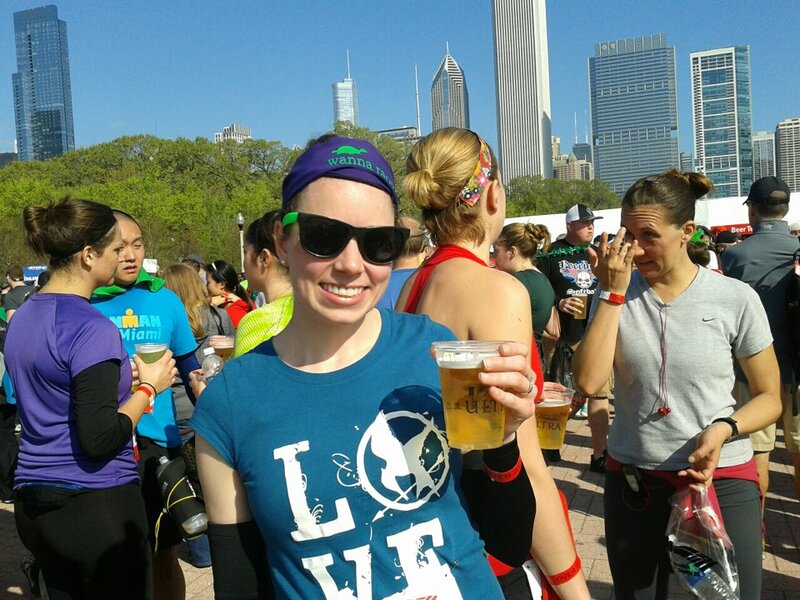 During Ragnar, Mo would get her bandana wet and stick it in the cooler, and then wear it around her neck during her runs. I also find that ice down the sports bra works. And seek out any water fountains that you can use to cool down. There is one near me (at Halsted and Roosevelt) and I can easily stick my head/neck (or whole body when it's really hot) in. Ah yes, the love/hate relationship with summer running. What a wonderful way to describe it. What a great idea about the bandana. Perhaps I need to keep one in the freezer before I leave the house! Oh yes, the famous ice-down-the-sports-bra trick. Classic. Water fountains is a great idea. For some reason, they don't seem to have a lot of them out by us on the trails. Note to the park districts! 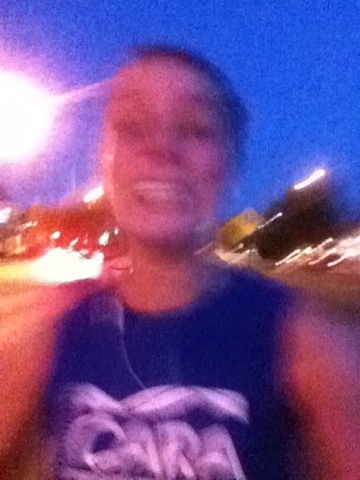 Aww yes, gotta love running in this hot weather. I run 4 times a week and have pretty much decided to do my speed workouts and tempo runs on the treadmill and my easy and long runs outside. So, I only "suffer" two times. :-) However, I try to run early in the morning so it isn't too bad. Oh and I also like Zipfizz and Hammer Nutrition for my runs. Yup, a bandana helps a lot. I have one that holds ice, but the ice melts pretty fast, but at least for the first couple of miles of a race, I'm cooler than I'd otherwise be! Oh, fancy bandana! I didn't know they made those! Amen to all of this! I've definitely been trying to run in the AM now that I am not working, and I always bring a handheld with me, no matter the distance!